Every day our joints undergo wear and tear‚ testing our body's ability to stay flexible. Now nutritional science offers help. 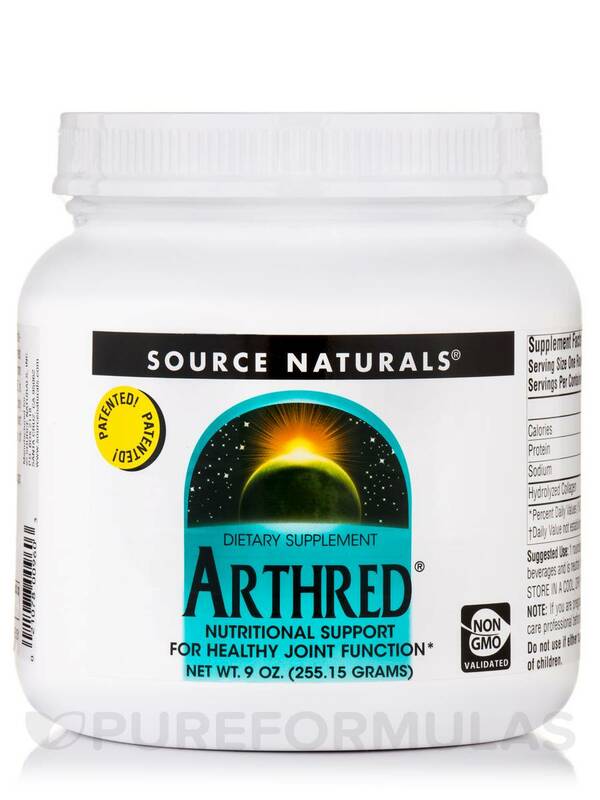 Source Naturals Arthred® is an all-natural product clinically reported to nutritionally support healthy joint function. 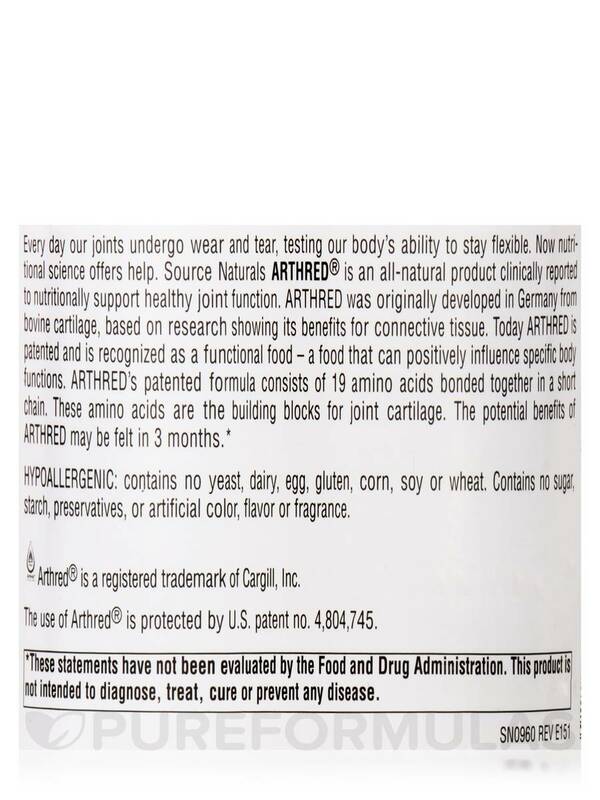 Arthred was originally developed in Germany from bovine cartilage‚ based on research showing its benefits for connective tissue. 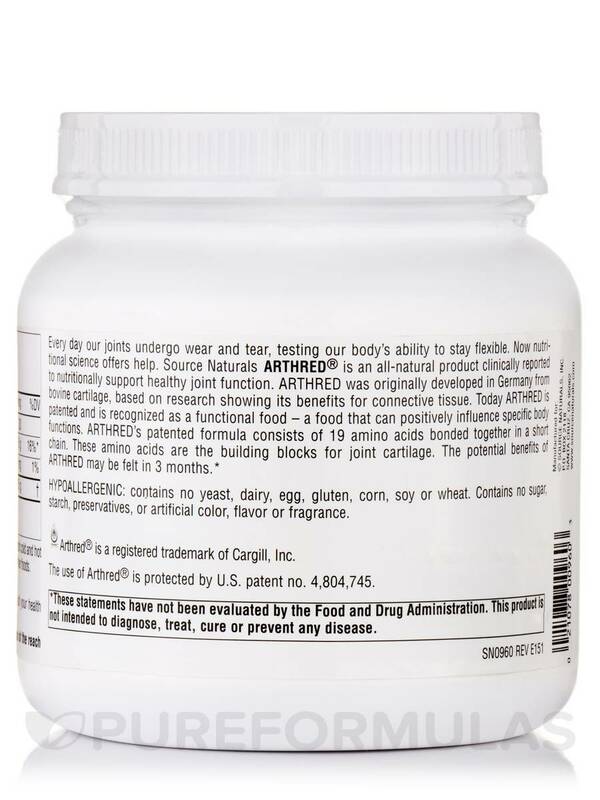 Today Arthred is patented and is recognized as a functional food --- a food that can positively influence specific body functions. 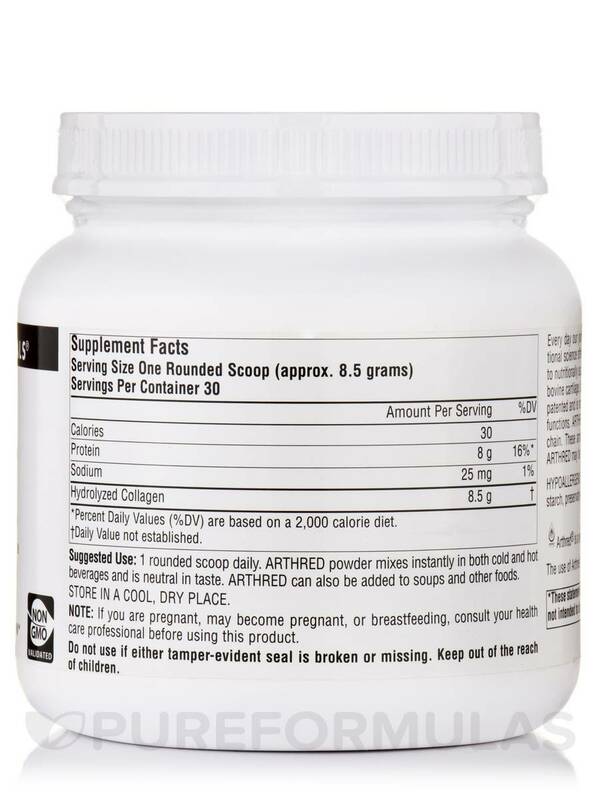 Arthred's patented formula consists of 19 amino acids bonded together in a short chain. These amino acids are the building blocks for joint cartilage. The potential benefits of Arthred may be felt in 3 months. Contains no yeast‚ dairy‚ egg‚ gluten‚ corn‚ soy‚ wheat‚ sugar‚ starch‚ preservatives‚ artificial color‚ flavor or fragrance. 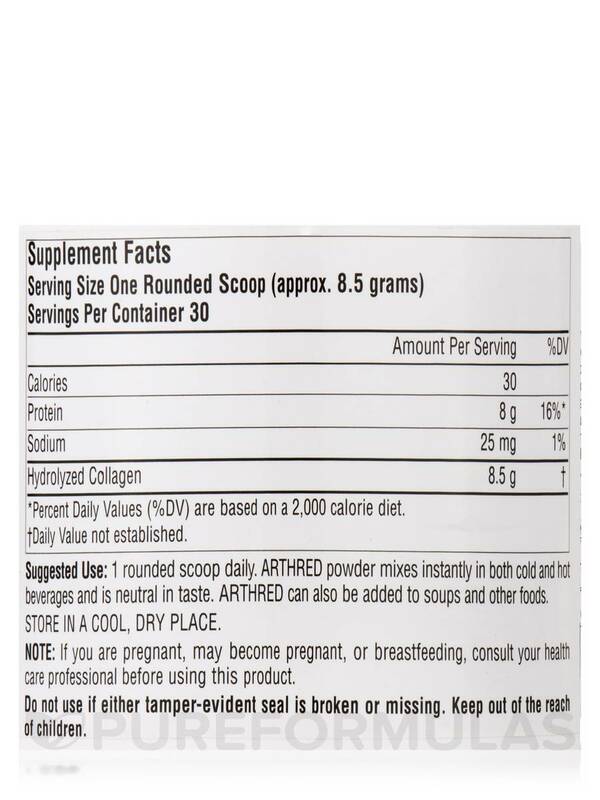 1 rounded scoop daily. 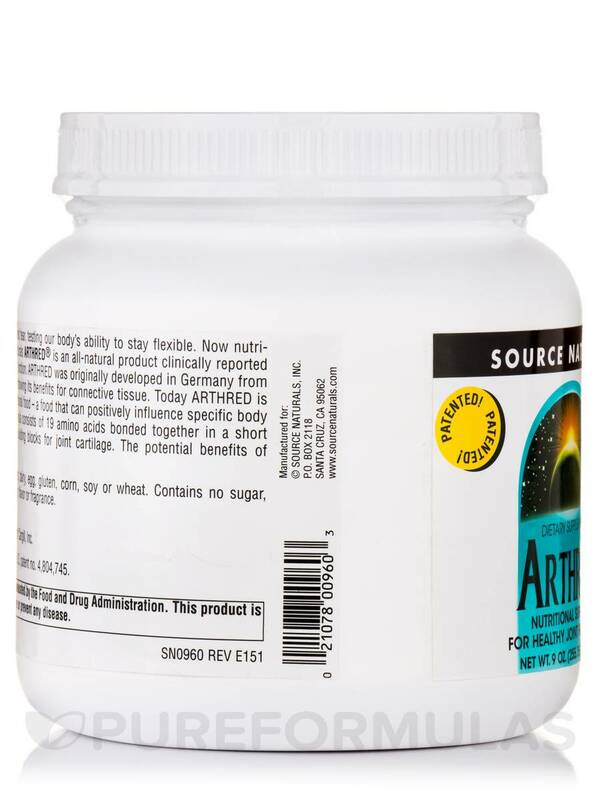 Arthred powder mixes instantly in both cold and hot beverages and is neutral in taste. Arthred can also be added to soups and other foods.